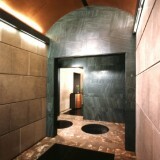 FPE Architects Wins Design Award, New York State American Institute of Architects. 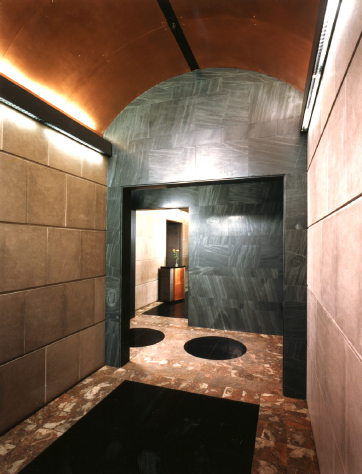 The signature design feature of this lobby space is the barrel vault. 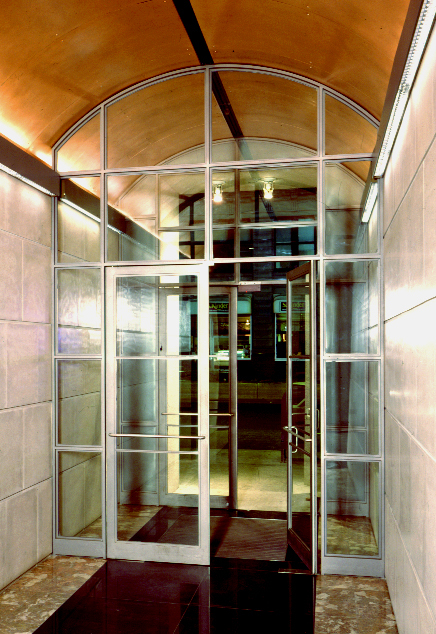 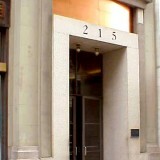 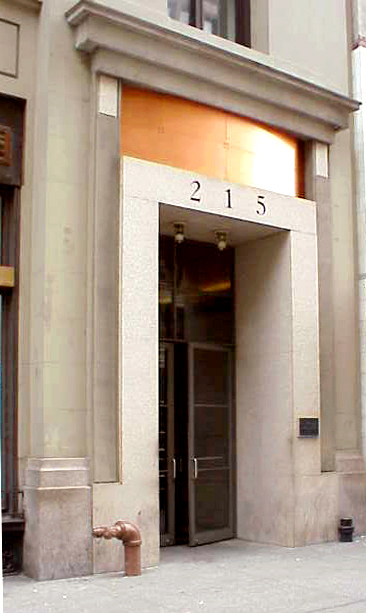 It is visually introduced via a bowed copper transom at the entrance and then leads visitors through the interior sequence. 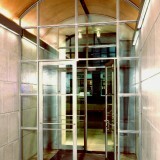 This sequence begins with the sandblasted steel and glass entry vestibule, continues under the vault, through the apse, and terminates once again under the vault in front of the elevator bank.